Marubeni Corporation, a major Japanese commercial group, announced that it has won the contract to supply and build Unit 6 of the Olkaria I Geothermal Power Plant in west-central Kenya. The work was entrusted to Fuji Electric, another Japanese company. Kenya Electricity Generating Company Limited (KenGen), Kenya’s largest energy producer, with 80% of the market, wants to expand the Olkaria I geothermal power plant in the Rift Valley. Marubeni Corporation announced that it has won a turnkey contract for the extension of the existing plant. The company has entrusted the construction of unit 6 of the plant to its compatriot, Fuji Electric. The two companies are taking their first steps in geothermal energy on the African continent. In the coming weeks, Fuji Electric will start installing the new unit, which should be able to produce 70 MW of electricity. The cost of this new project is being financed through a concessional loan from the Japan International Cooperation Agency (JICA) and the European Investment Bank (EIB). Thus, Fuji Electric, which employs more than 26,000 people, has until 2021 to complete the work. The Olkaria I geothermal power plant began producing electricity in 1981. At the time, it was the first geothermal power plant in the country. It currently operates five turbines with a total capacity of about 185 MW, making it one of the largest geothermal power plants in Africa. 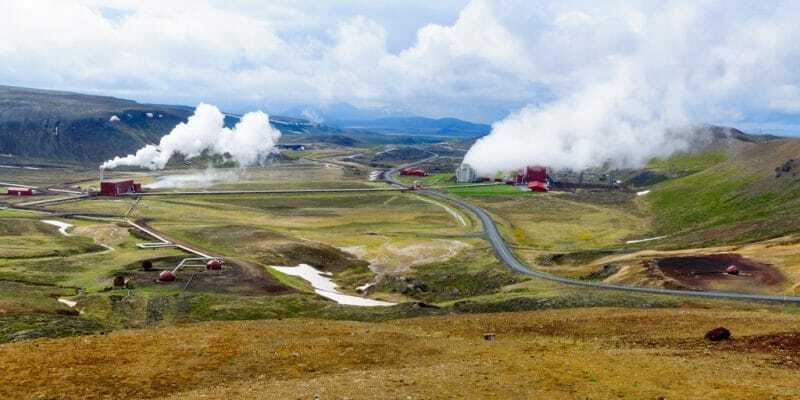 This means that Kenya relied very early on geothermal energy, a renewable energy source that emits very few greenhouse gases and has proven to be extremely reliable. Even a hydroelectric power plant may have its production capacity reduced due to the drop in water level, but the power produced by steam turbines (geothermal) remains stable and continuous. The Rift Valley, where the Olkaria I power plant is located, is a large basin known for its geothermal energy production. It has helped to make Kenya the first producer of this green energy in Africa, and the 9th largest in the world. By 2017, the country had an installed capacity of 620 MW. In 2018, its production increased by 80 MW. Geothermal energy accounts for more than 30% of Kenya’s energy mix, or 700 MW, according to the Renewables global status report. The future is bright, especially as new deposits have been discovered in the Rift Valley and Kenya has legislation that encourages private investment in the renewable energy sector.